A brand new sidewalk and driveway lead the way to this professional cleaned, well cared for and updated home. From a welcoming entryway you can appreciate the open floor plan. Mannington engineered hardwood flooring flows through the family room into the formal dining room as well as down the hall to the IMPRESSIVE kitchen. Prepare to be blown away with the space and comforts of the recent updates. Ceramic tile floor and back-splash, granite counters, double convection oven, 6 burner Kenmore cook-top, stainless steel appliances & sink. The separate living room is quaint and inviting. The 2nd floor provides 4 nice sized bedrooms including a large master with the biggest walk-in closet Rygate has to offer. You could not amass clutter in this home with the attached garage and separate storage room. Newer HVAC and tank-less water heater brings the INSTANT HOT! Many windows bathe the home in tons of natural light. 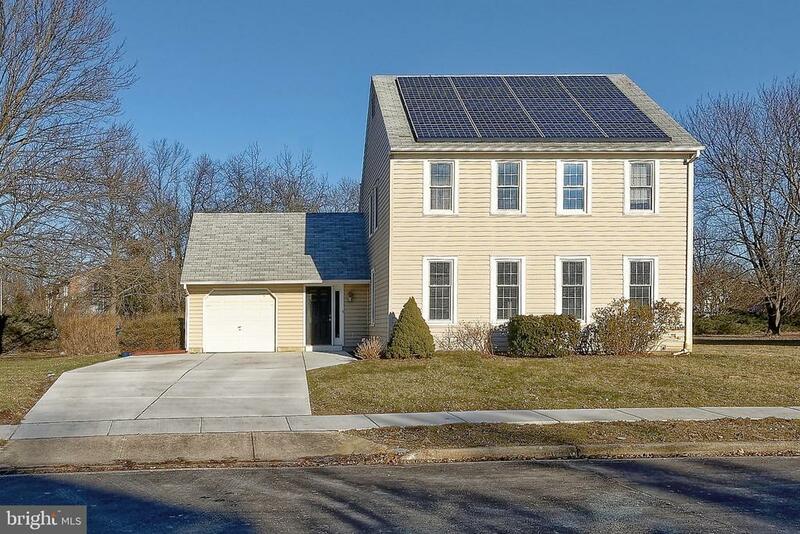 GO GREEN with recently added solar panels. Newer paint and carpet in some areas, brand new Aqua Guard floor in the separate laundry room, new vapor barrier in the crawl space. All of this in a great location sitting on just under a half acre with vegetable garden. Make this your forever home. Green Remarks: Utility bills available upon request. Lease has approximately 14-15 years remaining. Will not be removed.